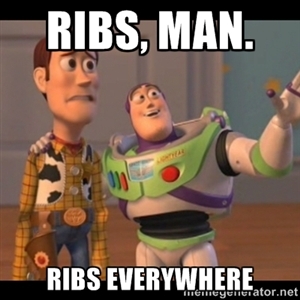 I know that ribs are thought of as more of a summer meal. Grilling and summer go hand in hand, after all. When the hot summer months are here I do not enjoy being stuck in a steamy kitchen with the oven going. However, it is fall now. Our weather is a bit unpredictable as of late, and we have not been grilling as often as we had done previously. We still want to enjoy BBQribs, though. Especially when I find them on sale at our local market! 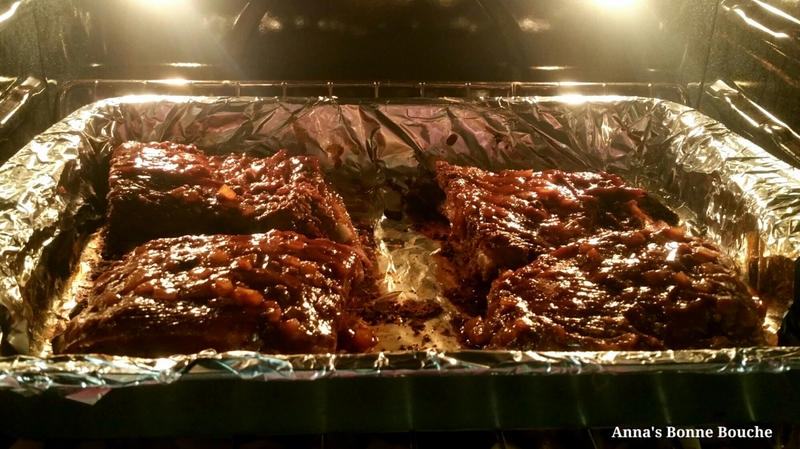 This recipe is actually a shorter version (time wise) of pork ribs that are done on the grill. The grill version has a long and low oven cook time, a marination time, and then they hit the grill for a bit of finishing and grill marks. They result in a melt-in-your-mouth rib that has a great BBQ tang to it. 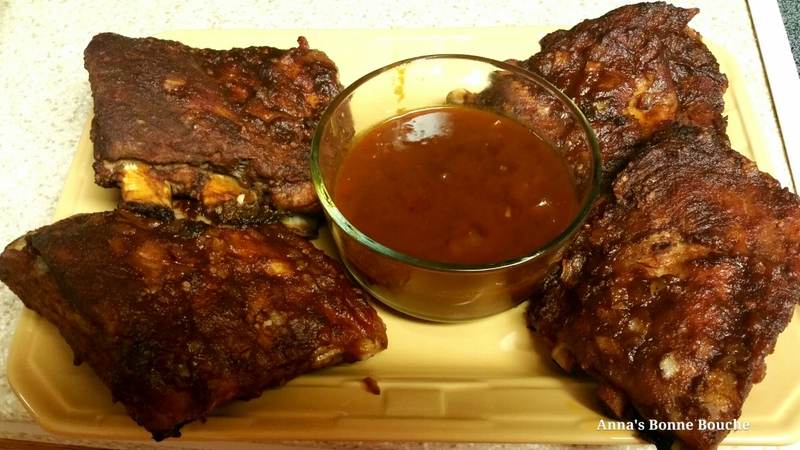 This version is faster to the table, but also makes a tasty and tender rib my family really enjoys, without sacrificing the refrigerator space for 8 hours, or me running in and out the door to watch the ribs and finish the rest of the meal. 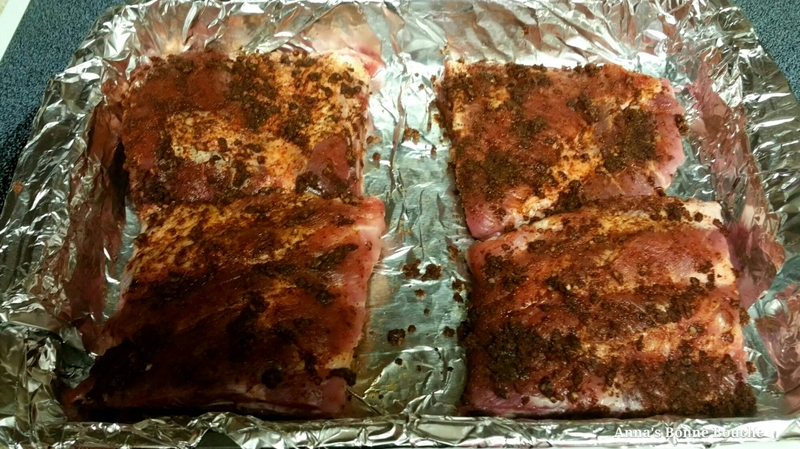 Combine garlic, sugar, paprika, seasoned salt, chili powder and cumin in a small bowl, then rub all over the ribs. 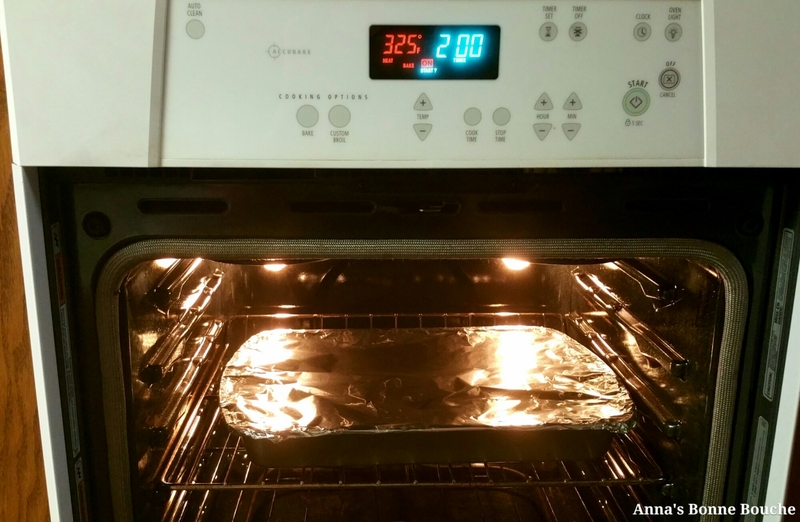 Cover pan with foil and bake in an oven preheated to 325°F for about 2 hours. Meanwhile, in a small saucepan, Sautee onion in butter until onion is tender and translucent. Stir in remaining ingredients. 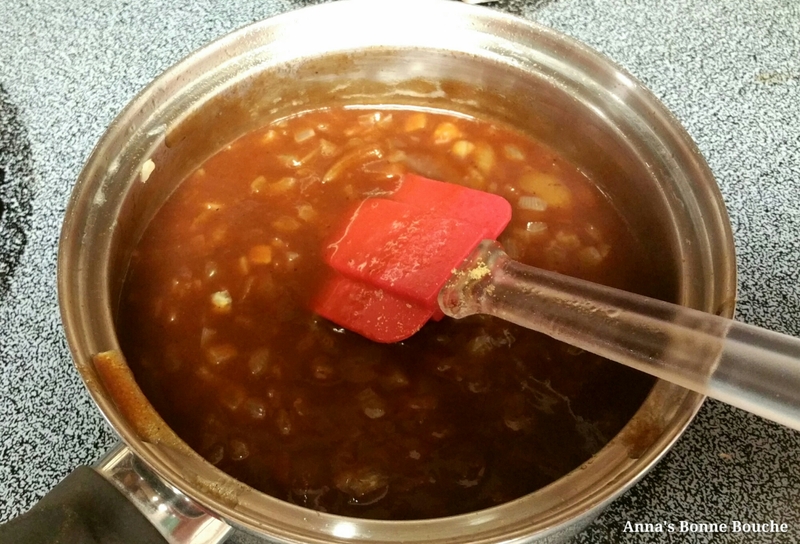 Bring to a boil, then reduce heat and simmer until thickened, aboit 10 minutes. Remove from heat and no reserve 3/4 cup sauce. 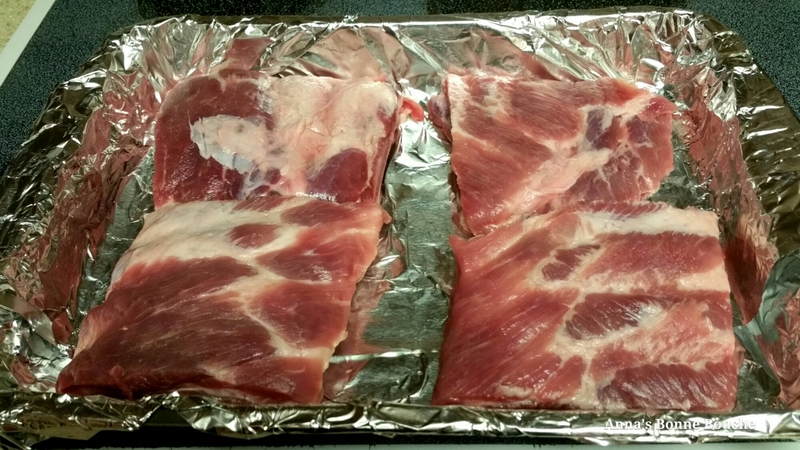 Brush ribs with remaining sauce, then bake, uncovered at 375°F for another 30 minutes. We had these last night with roasted onion potatoes and a nice green salad. I hope you and yours enjoy them as much as we did!